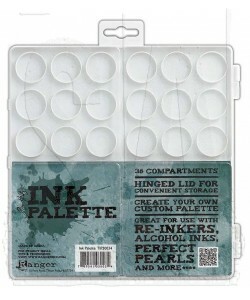 The Tim Holtz Ink Palette features 36 individual compartments and a clear hinged lid for convenient storage. 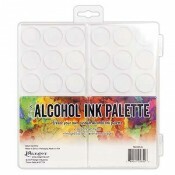 Great for use with dye re-inkers, Distress Stains, Alcohol Inks, Perfect Pearls and more. 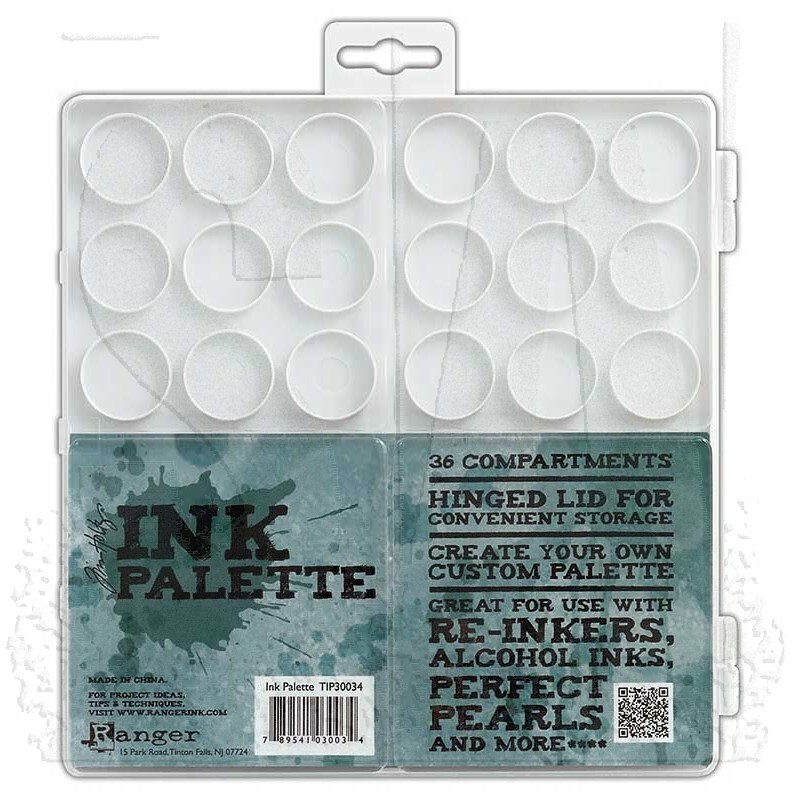 Paired with the Water Brush, the Ink Palette is ideal to mix water-based inks for watercolor painting. Ink Pallete measures 7 1/2" x 7 1/2" x 5/16".